For those involved in research on health effects of asbestos fibres, Chris was one of the most outstanding authorities on asbestos-related diseases, both from a pathological point of view and regarding his expertise on the experimental approach to asbestos toxicology. Chris Wagner was born in Pretoria, South Africa, on April 11th 1923. His father was an eminent geologist, the Director of the South African Geological Survey. The family had emigrated from London in 1810. Chris was 6 years old when his father died. Chris was educated in Johannesburg and Natal and went to the University of Natal in 1941. During World War II, Chris served in the South African army, taking part in the North African and Italian campaigns. After the war, he returned to Johannesburg, Witwatersburg School of Medicine graduating in 1951. Thereafter, he trained in Pathology at the South African Institute for Medical Research and, in 1954, was appointed Asbestos Research Fellow at the Pneumoconiosis Research Unit, in Johannesburgh. During this time, Chris published a famous paper on “Diffuse pleural mesothelioma and asbestos exposure in the North-Western Cape province”, in the Br. J. Indust. Med. (Wagner, J.C., Sleggs, C.A., Marchand, P. 1960, 17: 260-271). In this paper, Chris established, for the first time, a relationship between pleural mesothelioma and asbestos exposure. It was also in this paper that mesothelioma was finally accepted as a separate pathological entity. In 1962, Dr J. Gilson, Director of the MRC Pneumoconiosis Research Unit at Llandough Hospital in Wales, persuaded Chris to join his team. He worked there until retirement in 1988. Here, he was the first to establish a colony of rats with lungs free from organisms causing lung disease for use in following disease patterns after exposure to dusts. He established both intra-pleural and inhalation methods for the study of lung fibrosis, lung cancer, and pleural mesotheliomas. He and his team found that asbestos dimensions were an important parameter in the induction of pathogenesis. He was engaged in collaborative research, in many parts of the United Kingdom and in other parts of the world such as Cyprus, Turkey, Greece and Canada, and gave freely of his help and advice. For young researchers, the observations made by Chris Wagner gave an enthusiastic boost to investigations into the mechanisms of the pathogenicity of asbestos. Chris Wagner married Margaret, a hematologist, in South Africa; they had one son and two daughters, and two granddaughters. Chris and Margaret retired to Dorset in 1988, where Chris continued to be consulted, until shortly before his death on 25 May 2000. His work was sound and he provided milestones in research work on asbestos toxicity. His results were of paramount importance in the regulation of asbestos use, providing a better consideration of occupational asbestos-related diseases. In addition to his work on asbestos, Chris and his co-workers studied another type of fiber called erionite, in collaboration with Professor I. Baris, a Turkish clinician, who had discovered a high mortality rate due to mesotheliomas in some areas in Turkey. The findings of fibrogenicity and carcinogenicity of erionite in rats provided an important demonstration of the ability of other sorts of fibres to produce lung and pleural damage. In 1985, Chris Wagner received the prestigious Charles S. Mott Prize from the General Motors Cancer Research Foundation for the most outstanding recent contribution related to the causes and ultimate prevention of cancer. Chris was a quiet, philosophical person appreciated by his research co-workers. For those who encountered him during scientific meetings, he was a nice, warm friendly person with a good touch of humour. J. CHRISTOPHER WAGNER, the pathologist who has died aged 77, demonstrated that particular kinds of asbestos caused specific cancers, sometimes 40 years after exposure to the asbestos fibres. Wagner became internationally known for his work on occupational lung diseases. But it was in 1960 that he made his name, with a paper “Diffuse pleural mesothelioma and asbestos exposure in the North Western Cape province”. It would be difficult to over-emphasise the importance of this study, which was to become the most quoted paper in occupational medicine. It initiated an explosion of research into asbestos-related diseases. Wagner’s paper showed that in some cases of cancer in the pleura (the membrane separating the lung from the chest wall), exposure to asbestos had been for only a few months. The lag between initial exposure and the development of the tumour could be very long – usually two to four decades. This was the first time that a specific type of asbestos had been implicated in a particular cancer, for Wagner had found that this very rare form of tumour occurred only in individuals living in the Kuruman district of Cape province in South Africa. This was where blue asbestos was mined. 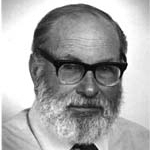 Wagner’s work on asbestos-related lung diseases began in 1954 when he was appointed a research fellow at the South African Pneumoconiosis Research Unit in Johannesburg. South Africa is unique in having asbestos deposits of all the main commercial types – chrysotile (white), crocidolite (blue) and amosite (brown), each situated in a different area. The Pneumoconiosis Research Unit studied disease in asbestos miners from the different locations. In 1959 Wagner presented a paper at the International Pneumoconiosis Conference held in Johannesburg (read the paper). This included his observations on mesotheliomas occurring in association with asbestos exposure. It brought him to the notice of Dr John Gilson, the head of the Medical Research Council’s Pneumoconiosis Unit at Llandough Hospital in Wales. Gilson persuaded him to join the Pneumoconiosis Unit in 1962, and he worked there until his retirement in 1988. In 1964, at a New York Academy of Sciences Conference, Wagner made another influential contribution to knowledge of the effects of asbestos. He presented studies which showed that the kind of cancer called mesothelioma could be induced experimentally in rats by the implantation of asbestos. This set in train experiments in different parts of the world to study the mechanism of how asbestos caused cancer. The experiments carried out by Christopher Wagner and his team showed the importance of characterising the dusts used in the studies. They showed that the shape of asbestos fibres was of great importance: long thin fibres were much more dangerous. Wagner collaborated with Dr Muriel Newhouse, who has also recently died, in studying asbestos diseases occurring in workers and their relatives from an east London asbestos factory where exposures and amounts of disease were high. A disturbing observation was that mesotheliomas could develop not only in the workers but also in household contacts of asbestos workers, as a result of laundering their contaminated clothes. Wagner was always mindful that asbestos not only posed health hazards to those who were exposed to it but had also brought great benefits. He did not like the way the American press had sensationalised some of the reports about the dangers of asbestos to the general population. John Christopher Wagner was born in Pretoria on April 11 1923. The family, originally German, had emigrated from London to South Africa in 1810. Christopher’s father, Percy Albert, who died when the boy was six years old, was one of South Africa’s most eminent economic geologists. He had described many mineral deposits in Africa, including asbestos, diamonds, gold and platinum. During the Second World War, Christopher Wagner served with the South African field artillery and took part in the North African and Italian campaigns. In 1951 he graduated in medicine from the Witwatersrand School of Medicine. He showed a penchant early in his career for original observation, being involved in the identification of a new type of organism, similar to a tubercle bacillus. This organism was to be found in inflammatory lesions affecting the Cape hyrax (locally known as the “dassie”), a small, hoofed mammal about the size of a rabbit. During his career at the Pneumoconiosis Unit at Llandough, Wagner had the opportunity to conduct experimental and human studies. He put together a formidable team for conducting experimental studies. He forged strong links with a number of investigators to look into the patterns of disease connected with the use of asbestos in different locations around the world. Wagner’s sense of humour found expression in such papers as his Confessions of a Reluctant Measurer, which debunks the holy grail of measurement. In it Wagner points out that many important medical advances have been made by empiricists such as Harvey, Jenner, Snow, Lister and Florey, and that measurement should be subservient to original observation. In 1985 he was awarded the prestigious Charles S Mott Prize of the General Motors Cancer Research Foundation, awarded for outstanding research contributions to the causes and ultimate prevention of cancer. Wagner was something of a bon viveur, and aided by his son Charles he developed a good wine cellar, much appreciated by friends and colleagues. Other interests were archaeology, rugby and gardening. He is survived by his wife Margaret, a doctor whom he married in 1957; for 25 years she worked with him at the MRC unit. They had a son and two daughters. Chris Wagner, who has died aged 77, was an outstanding international authority on asbestos-related cancer. In 1956, while working at the South African Pneumoconiosis Research Unit, he conducted an autopsy on a black African miner thought to have died from tuberculosis. He later wrote: “On opening the thoracic cavity, I was amazed to find a huge gelatinous tumour.” The tumour was a mesothelioma, and further examination of the lung revealed clumps of asbestos bodies. It was a finding that influenced the rest of his life. 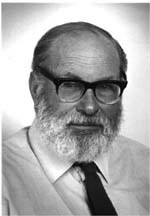 Wagner was born in Pretoria, the elder child of Percy Wagner, one of South Africas’s most distinguished economic geologists. Chris was six years old when his father died, and, perhaps not surprisingly, spent his early years in his shadow. He was educated at Michaelhouse, Natal, and, in 1941, went up to the University of Natal. In 1942, he joined the South African army, fighting in North Africa and Italy. His memory of that time was indelible – in particular of the events surrounding the battle for Monte Cassino. Back home again, he returned to Witwatersrand medical school, from where he graduated in 1951. After Chris diagnosed his first mesothelioma, he conferred with colleagues and discovered that a group of similar cases had occurred at a tuberculosis hospital in Kimberley. He hypothesised that asbestos could be involved, and soon made a link with exposure to blue asbestos (crocidolite). This required some detective work, as many of the patients had never worked with asbestos but lived near the asbestos fields; others had left the areas while they were still children. In 1959, Chris presented his findings to the pneumoconiosis conference in Johannesburg, where the audience included John Gilson, then director of the Medical Research Council’s pneumoconiosis research unit (PRU) in Penarth, south Wales. Chris took Gilson to visit the mines and deposits in South Africa, and Gilson recognised Chris’s exceptional knowledge of the asbestos then being imported into Britain. The publication, in 1960, of his seminal paper, Diffuse Pleural Mesothelioma And Asbestos Exposure In North-Western Cape Province (written with CA Sleggs and P Marchand) became the most cited work in the field of industrial medicine, and put Chris firmly on the asbestos research map. It also led to his doctorate from the University of Witwatersrand in 1962. That same year, at the invitation of Gilson, Chris moved to the PRU, and together they set about stirring up interest in the asbestos problem, an activity that culminated in a ground-breaking conference on the biological effects of asbestos, convened by the New York Academy of Sciences in 1964. Contrary to expectations, the British asbestos industry co-operated fully. Chris was the first person to emphasise the association between blue asbestos and mesothelioma, and to set up a programme of research to investigate asbestos-related cancer. There were a few earlier case reports suggesting a possible link, but no one had attempted further investigations or considered the type of asbestos involved. Indeed, Chris had to work hard to persuade his colleagues that his research would be worthwhile. He succeeded and went on to prove that different fibre types, in different doses, have different effects on lung tissue. This research was pivotal in the introduction of safety standards and the banning of blue asbestos in Britain. Chris liked nothing better than to collaborate with colleagues. His research workers were very proud of him, and he, in turn, was fiercely loyal to them. At the PRU, he contributed to projects in other fields and made original observations on the pathology of coalworkers’ pneumoconiosis. He was a dominant, if unconventional, figure at research meetings, where he delighted in discussing his research with the international academic community. Despite dyslexia, Chris had 85 original research articles published, along with many book chapters and reviews – though notwithstanding his success, he had dark moments of despair. Fortunately, he was widely read, and had both a prodigious memory and a talent for making lifelong friends, qualities which helped him to retain his equilibrium. He received numerous accolades, including, in 1985, the Charles S Mott prize of the General Motors Cancer Research Foundation for “the most outstanding recent contribution related to the causes and ultimate prevention of cancer”. In 1985, Chris and his wife, Margaret, retired to Dorset, where he indulged his love of old stones, becoming a respected member of the Dorset Archaeological Society. He had a logical mind, a brilliant sense of humour and a zest for life. More than that, he left the world a safer place for the rest of us. He is survived by Margaret, a son, two daughters and two granddaughters.